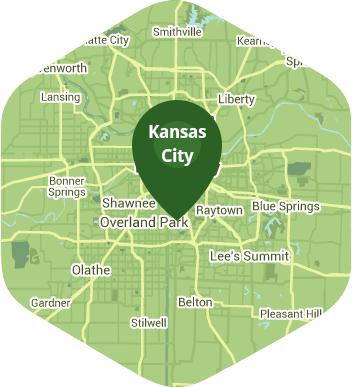 Book a skilled lawn pro in Roeland Park. Backed by a total satisfaction guarantee and amazing customer support. Roeland Park has turned small-town midwestern life into an art form. With its many parks, its delightful community events, and its proximity to the entertainment and conveniences of Kansas City, Roeland Park is a lovely and peaceful place to spend time with your family. So, why not go spend time with them, and let Lawn Love take care of those burdensome lawn care chores? With just the click of a mouse or a tap on your phone, our independent lawn care experts can be on their way to tend to your lawn. And the result? A beautiful, plush, emerald-green showpiece that will enhance your entire neighborhood. It's just that easy! Sound good? Then let's talk! Call Lawn Love at 816-527-9015 or try out our convenient two-minute quote, and let Lawn Love give you a lawn you'll love. Rated 4.75 / 5 stars in 2,040 Roeland Park customer reviews. There won't be any rain in Roeland Park today, which means you'll probably have to water your lawn. Dusk and dawn are the best times to water your lawn (the sun will rise at 6:29 AM and set at 8:04 PM today in Roeland Park). Here are some average lawn care prices for homes in Roeland Park. Average lawn size 4,712 sq. ft.